The Dallas Cowboys know what they're doing when it comes to the NFL Draft. Not to be outdone by Philadelphia, the Cowboys brought the 2018 Draft to AT&T Stadium, marking the first time the event's been held in an NFL stadium. This made Boise State Linebacker Leighton Vander Esch the first player to be drafted on the field he now calls home. Returning home this week after two straight interceptions against the Eagles and Falcons, Vander Esch is far from the controversial pick that drew jeers inside AT&T Stadium on draft night and every bit the star the Cowboys projected him to be. The ascension of Leighton "Wolf Hunter" Vander Esch as one of the best young linebackers in the game has happened rapidly. LVE played eight man football in high school, tasked to do everything on both sides of the ball before settling into defense as a walk onto the blue turf. 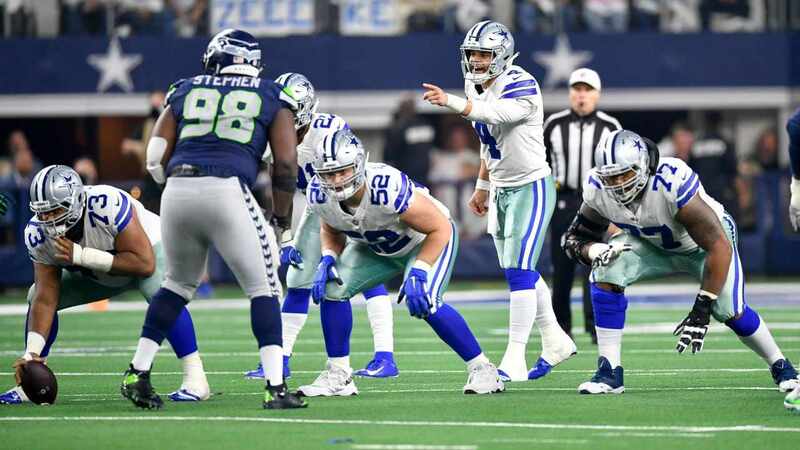 For the first time in what seems like forever, the Cowboys have more than just a plan to play defense without Sean Lee. Thanks to their 19th overall pick they're thriving as one of the best units in the league, making Lee an afterthought. Vander Esch and Jaylon Smith have changed the entire makeup of the Cowboys defense, two young and athletic linebackers that should be roaming the middle of the field for a long time in Dallas. This is exactly what LVE was able to do on his interceptions of both Carson Wentz and Matt Ryan. Vander Esch defending well against the pass is probably the least surprising part of his development, as his coverage skills always overshadowed his strength against the run in college. It just so happens that Vander Esch tallied 63 tackles in eight games before recording his first career interception, establishing himself as an all-around linebacker with no true weakness. Vander Esch has played with the power and block shedding ability that matches his sideline to sideline range and instincts, as opposing offenses have done little to slow the Cowboys new leader on defense. This is Vander Esch's first interception, which set up a Cowboys field goal against the Eagles. Watch as Leighton reads the eyes of Wentz through the play, first angling towards his check down throw and then gaining depth to intercept the pass. The subtle yet effective movements from Vander Esch to undercut Wentz's throw is a fine example of how quickly LVE has picked up on Kris Richard's defense, as well as the next level game speed. 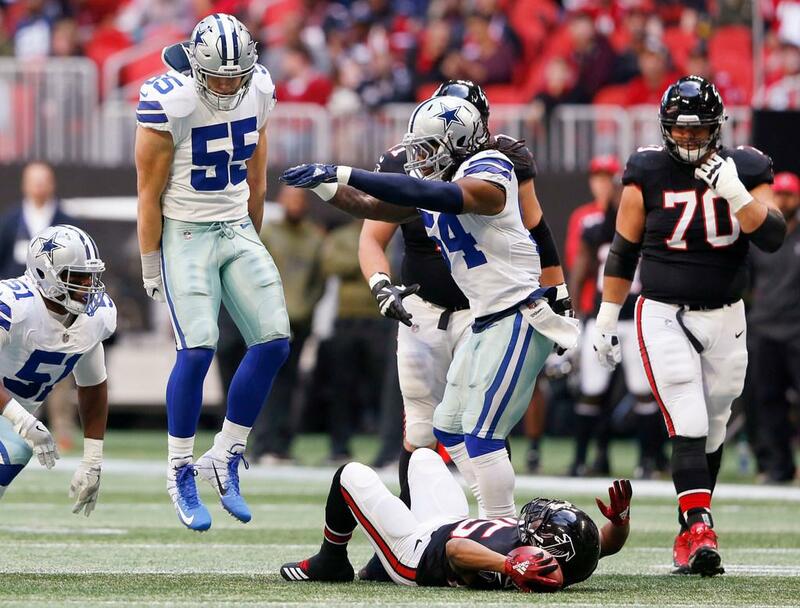 Sunday's interception from Vander Esch was the type of game breaking play the Cowboys needed to separate from the Falcons in hostile territory. Although the Falcons would rally to tie the game after this point, the Cowboys defense became the first to hold Atlanta under 20 points at home this season, thanks in large part to LVE as always. The smoothness from Vander Esch on this play is exceptional, stepping up into coverage against the running back before sprinting back in position for the turnover. Calvin Ridley, drafted seven picks after Vander Esch, helps Leighton by letting Ryan's pass go through his hands. Give Vander Esch credit for being in the right place at the right time and finishing the play. Every week, the rookie finds a way to do something memorable, and in helping the Cowboys earn their first two road wins of 2018 he finally flashed in pass coverage. 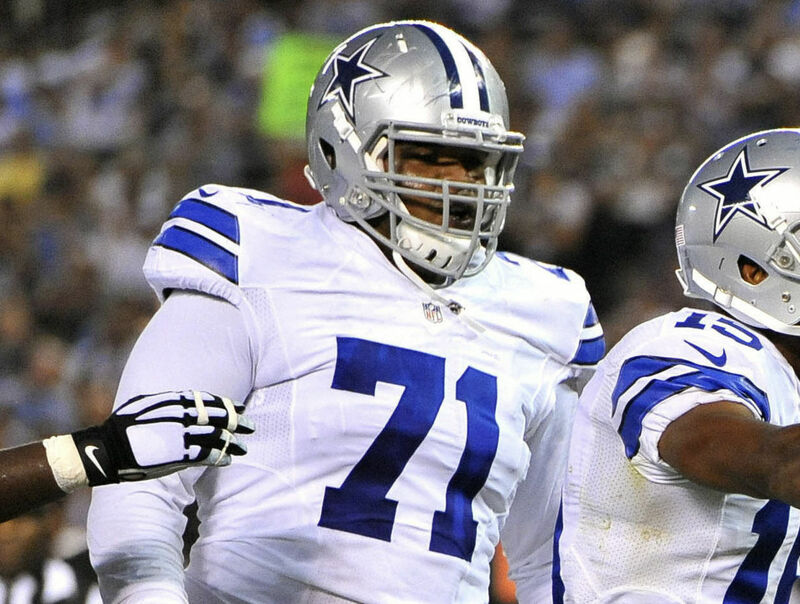 The next challenge for the Cowboys defense comes on a short week, against the division leading Washington Redskins. Though they lost starting Quarterback Alex Smith for the season on Sunday, expected to start Colt McCoy on Thanksgiving, it was Running Back Adrian Peterson that gashed the Cowboys for 4.13 yards a carry and 99 total yards in the Redskins week six win over Dallas. 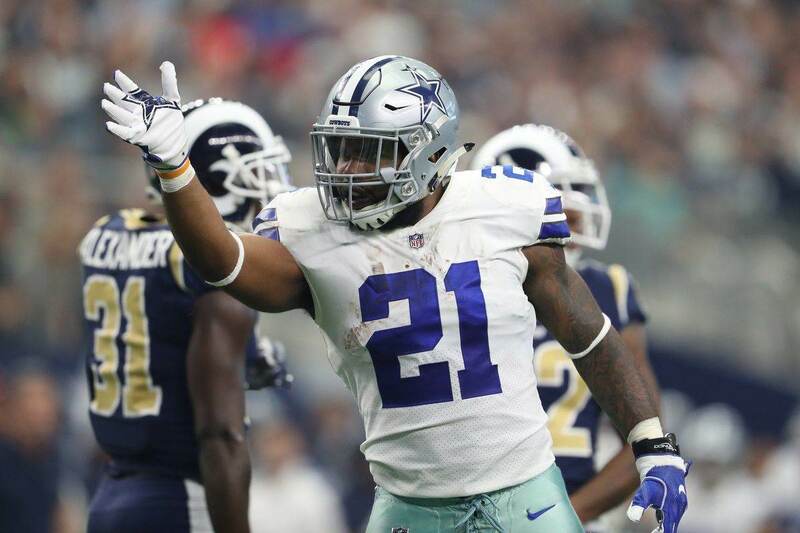 Given what not only Leighton Vander Esch but the rest of the Cowboys defense has shown against the run in recent weeks, all without David Irving and most recently without either Antwaun Woods or Daniel Ross, the Cowboys should certainly be prepared to play for first place in the NFC East on Thursday. Tell us what you think about "Wolf Hunter: Leighton Vander Esch’s Pass Coverage Skills Rising to Occasion" in the comments below. You can also email me at Sean.Martin@InsideTheStar.com, or Tweet to me at @SeanMartinNFL!